Learn what time-management mistakes you need to avoid. Do you think that you plan your time properly, but still can’t everything you have to in time? It’s not surprising if you, after you fail to turn in that important paper writing in time yet again, start thinking that time management is overrated, if not completely useless. Still, don’t hurry to discard your schedule and just go with the flow. It may be that you just make common mistakes that keep your time management efforts from being productive. You don’t think much about organizer apps and don’t like writing things down and keeping to do lists? You have to change your mind. Even if your memory is nothing short of phenomenal, experts recommend keeping to do lists (and yes, you have to write them). This doesn’t just help you clearly see all the tasks you need to do, but also to understand which of them have the highest priority and how much time you need to complete them. And after you strike the completed tasks off the list, you’ll get that satisfying feeling of accomplishment. Keeping to do lists is easy; it’s not exactly essay writing and will only take you about 10-20 minutes a day, but it significantly increases your productivity. And that’s what time management is all about. Chronophages are all the things that “eat up” your time. The most common are chatting about nothing in particular and mindless Internet browsing. Sure, these things may seem not so harmful. After all, everyone needs to slow down from time to time and switch from one activity to another. But the problem is chronophages keep you from noticing how much time you spend on them. You can go online “just for a couple of minutes” to check your social network profile and get stuck for three hours. How can you avoid this? Set a timer and make yourself stop as soon as it sounds. Or just make sure that there is no access to any chronophage while you are working on something very important. You can’t do much of informative writing when you constantly get distracted by text messages and app notifications, right? But don’t go into other extremity and work for hours without taking a break. It’s important to have a few short (10-15 minutes) and one long break during a day. 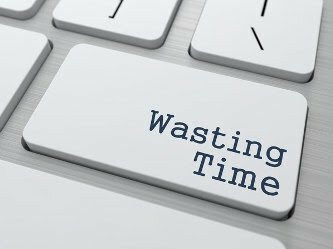 A habit of constantly putting things off till later (they also call it procrastination) is harmful not only because it keeps you away from doing something really important. Quite often thoughts about all those things that need our attention distract us from working on other tasks – and tasks have a tendency to pile up. To avoid this block, keep a journal with all the to do lists where the largest, most complex and important tasks will be put first and highlighted. Even expressive writing can help you be more organized. Read more about it. This is just another common time management mistake. Unless you have a clone that can complete most of the tasks for you, you only have to rely on yourself. This means you must have a realistic idea of how much time you need to get all the things done. And while time management and organizer apps are great, you have to remember that your life is not some software and you are not a robot. So always allow some time for unexpected circumstances. 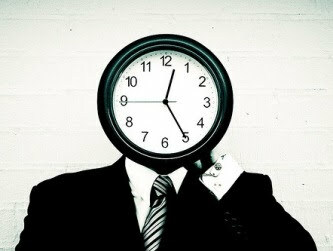 Time management is not only about making plans for the nearest future; it’s also about analyzing the past. It’s very important to assess how much time we spend on different things. At first this kind of habit can be a real eye opener: you’ll see how all the “trifling” things take more of your time than your important assignments. Broadly speaking, time management is not just about techniques and habits, it’s a way to live your life consciously, in total accordance with your goals. It’s always hard to do something we don’t like, something tedious and insignificant. But if there are more tasks that you can enjoy, no chronophages or procrastination can pose a real threat. That’s why it’s so important to make plans according to your major goals. Be sure to always find time in your schedule for the things you really love doing, whether it’s handiwork, programming or professional writing. Spend around half an hour a day to think about the future. It’s great for leaders, since they work on developing strategies, but it’s also useful to any of us. This kind of habit lets you stop and think: even if you use your time efficiently, did you choose the right way? Does your everyday schedule make you closer to your ultimate goals? Time management is a system of useful habits and a way of thinking that helps us use our time productively. The great thing is absolutely everyone can become a time management specialist when it comes to our lives.